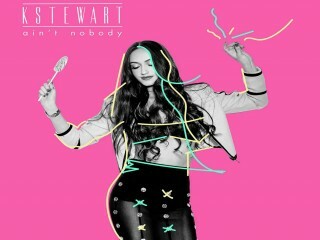 Follow the British singer KStewart as she prepares for the show in her new video Ain't Nobody. The 20-year-old British singer KStewart released the video premiere supporting her single Ain't Nobody, a track for which she teamed up with Karma Kid and TCTS. The video featured Kate Stewart as she gets ready for a show, later she hits the streets (all fashionable) and dances in front of the camera. The song itself may sound to you perfect for an amazing house bar where you could dance till morning, but we do enjoyed a few listens at home, too. Ain't Nobody will be released on digital retailers on November 13th via Warner Music.